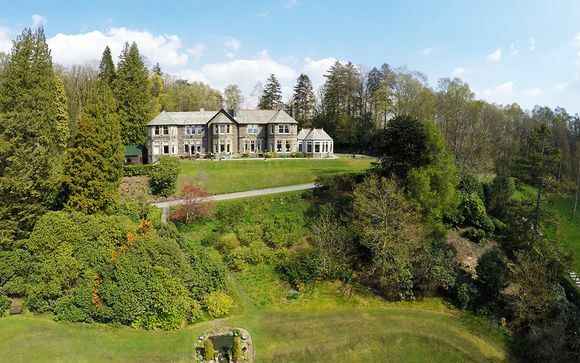 A perfect place to discover the Lake District, this beautiful country house is secluded within twenty acres of landscaped gardens and with stunning views overlooking Lake Windermere! Our members benefit from a choice of two rooms, and an exclusive opportunity to enjoy a complimentary 7 course dinner at the hotel restaurant! 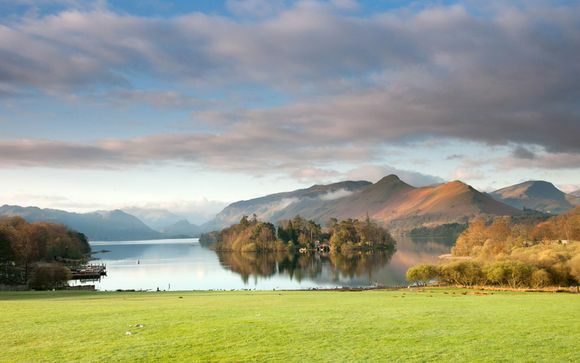 From 16 sparkling lakes and England’s highest mountains, to sheltered valleys, heather moorlands and salty seascapes, Cumbria and the Lake District have inspired and captivated generations of visitors, including famous writers and poets such as William Wordsworth and Beatrix Potter. But there’s more to see than just scenery. The area has a rich heritage to discover, a vibrant and contemporary cultural scene, and a growing reputation for fine food and drink. On top of all this, there is a huge choice of tourist activities to enjoy amongst some of the greatest natural landscapes in the world. 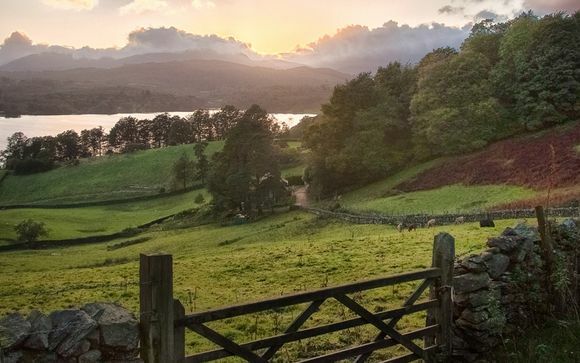 Whichever direction you travel from Windermere you are surrounded by some of the most spectacular scenery in England. A beautiful lake that makes for an idyllic cruise experience. Savour its beauty when you stay at Merewood. Located next to Bassenthwaite Lake in The Lake District National Park, they have renovated an 1850s Victorian Model Farm to be home of The Lakes Distillery and their world class spirits. Discover how whisky, gin and vodka is made on an amazing 25 mile journey, from the source to the distillery house itself. An elegant arts and craft house with spectacular views of the lake and beautiful gardens to stroll in. Idyllically situated on the shores of Windermere, here you can catch a cruise to or from Waterhead (the northern end of the lake, a short distance from Ambleside). This park offers beautiful grounds and access to Lake Windermere with picnic areas, boat hire and an adventure playground. Lakeland Motor Museum is situated at the Southern tip of Windermere, offering a diverse collection of some 30, 000 exhibits. Their fantastic cafe has patio doors onto large terrace with Riverside seating. Overlooking Windermere, England’s longest and most beautiful lake, you will find Merewood Country House Hotel 4*. Set in its own secluded, twenty-acre estate of beautiful landscaped gardens, woodland and meadows, and with stunning views overlooking Lake Windermere, it’s hard to resist a relaxing Lake District break at Merewood. As soon as you step through the front door of this beautiful country house, you’ll discover an oasis of comfort, warmth and relaxation. The informal and friendly service is so good you’ll hardly notice it. 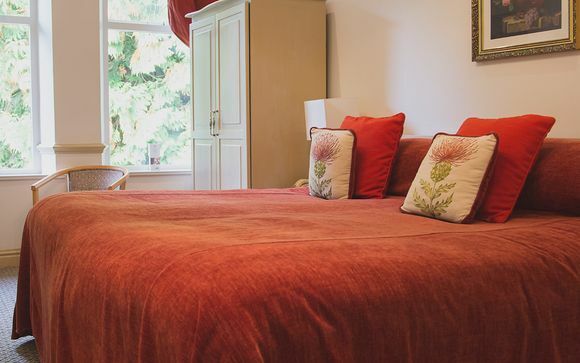 It’s their job to make you feel at home, which isn’t hard once you sit back and unwind in one of the cosy lounges or drawing rooms and take in the spectacular lake views over a freshly brewed coffee or maybe a glass of chilled wine. From the mouth-watering food and drink to the stylish and comfy bedrooms, a short break at Merewood Country House Hotel 4* will leave you feeling pampered, stress-free, and hopefully wanting more. As far as Lake District hotels go, this is a real gem! This offer is based on a Standard Room or a Lakeview Room. From the comfy beds, and crisp linen to the deep baths, aromatic toiletries and fluffy towels, the bedrooms at Merewood County House Hotel 4* have been designed with no-one else but you in mind. So, after a gentle lakeside stroll, a more ambitious bike ride or a day exploring what the Lake District has to offer, you can head back to the sanctuary of your room and have a soothing hot bath. These rooms carry enviable lake views so what better place to enjoy a pre-dinner drink as you watch the evening sun set over the spectacular Lake District landscape. This offer is based on a Half Board Stay. 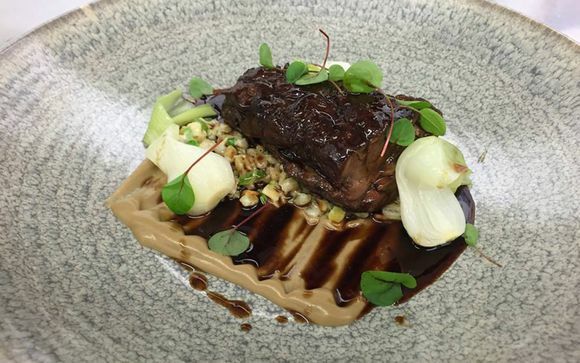 Dining at Merewood Country House Hotel 4* is an experience not to be missed. 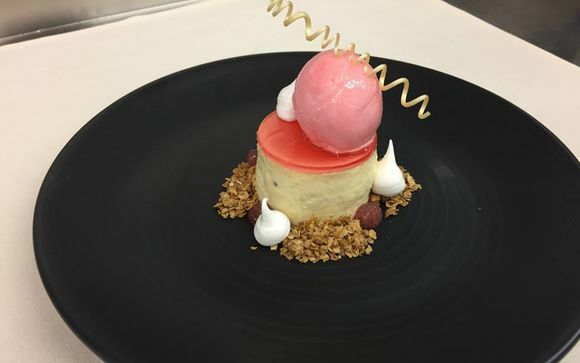 Under the creative and experienced direction of head chef Carl Semple, and made with only the finest local and seasonal ingredients, you’ll discover a menu of imaginative and freshly prepared food. From simple classics to more contemporary combinations, you’ll be spoilt for choice. The chefs make everything fresh on the premises, from the rustic bread to the handmade after-dinner chocolates. Merewood has two beautiful dining rooms - named Arboreal and The Grill, which both provide a stylish, elegant and informal setting for lunch and dinner, whether you are meeting to celebrate or simply to pass the time. When the weather is being kind, there’s also always the garden terrace where you can make the most of al fresco dining during the summer months. Come and enjoy tasty breakfasts, delicious lunches, yummy afternoon teas and mouth-watering dinners. The seasonal menus change regularly and staff are happy to cater for any special dietary requirements - just let them know! Once you've freshened up for dinner after a great day out in the Lake District, go for a drink in the stunning bar. 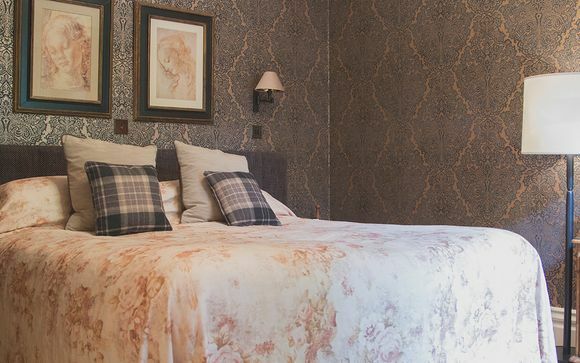 The bar is very much in keeping with the boutique hotel feel of Merewood Country House Hotel 4* and has some gorgeous features like the mosaic tile flooring, Art Deco lamps and some of the best views of Lake Windermere you'll find in any Lake District hotel. Sit back and enjoy a tumbler of malt whisky, a glass of fine wine or vintage port, or maybe you're celebrating and want to pop the cork and enjoy a glass of bubbly. There's an extensive drinks menu to choose from so whatever your tipple, you're sure to find something that takes you're fancy! The bar has a welcoming and intimate atmosphere and is conducive to whiling away the hours with friends and family. And in colder months there could be no better place to be than sat, than in a comfy leather settee in front of the roaring log fire. Directions to the hotel can be found HERE.